I’m a man living with Alopecia Universalis, which hasn’t been an issue from an aesthetic perspective since I’m 68 years old, secure with myself and where I’m at in life, and possess an optimistic perspective about life and believe in a higher power at work in the world. But, there is one issue disturbing me, my finger nails and toe nails. The nail bed has pits and seems to be eroding. I don’t know what options I have at this point. I tried having my nails coated with acrylic at a nail salon and, for a majority of the time, it seems to be good enough for me until they grow long and break. To aid in restoring my nails, I’m wondering if I ought to be taking vitamin pills, like Biotin or Zinc? Thanks for your email. I love your attitude about Alopecia Universalis. Alopecia Universalis is a more severe type of Alopecia Areata. You ask a good question. Personally, I searched and didn’t find an answer every place I looked. It was a topic of conversation with a few of my dermatologist friends (when nail health is involved, dermatologists are familiar with this condition and I think they’ve seen or dealt with comparable cases of Alopecia Universalis or Alopecia Areata nail deterioration). I did find two answers that might be of help to you, though. 1. 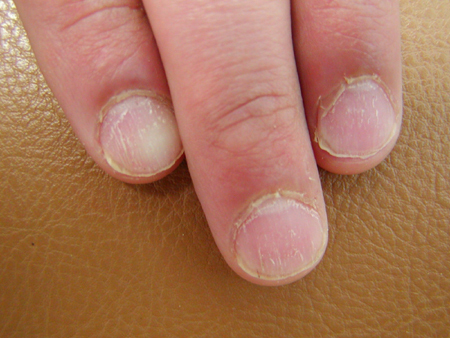 Well, I’ve seen a good number of people with major deformities of their nails, including dents, flaking, rippled nails, and distal phalanges with granulation tissue, symptoms which started after these people went in for acrylic manicures. The nails end up becoming kind of rough and the nail beds get damaged. 2. Hey Doc! Unfortunately, there’s not much a person can do about treating the nail pitting that is a part of having Alopecia Universalis or Alopecia Areata. A person can coat it with acrylics, that’s OK, but acrylics will, without a doubt, further corrode the nail bed over the long haul. It’s better to use nail polish or manicure the nails. Taking Biotin is OK if a person is trying to have healthier-looking nails, but it’s not the solution to the underlying problem. There’s also the option of taking topical steroids to see whether that makes any kind of difference. Good luck. 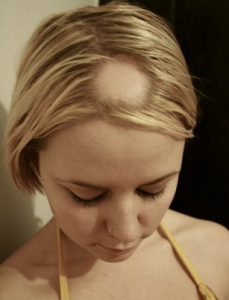 One of our readers who is in her 30s has asked about Alopecia Areata or AA. She says she has been using may different treatment either medical or herbal for her patchy hair loss in the last 20 years. She continues as: Hairs goes in patches from all over the body including eye brow and eye lashes, but additional thing with me is that I feel itching on the place from where hairs are going to fall with pain on the itching area too, then consequently within 1-2 days hairs falls and leaves red patch behind pains also gets disappeared. After that I start using Diprovate lotion twice daily on affected area. Hair comes within month then I stop using Diprovate. But normally hair length goes to only 8-10 inches and then again hair loss same process going on since 1980. One thing I observed is that places of hair loss patches are almost fixed. One thing I also used some hormonal injections too but as usual no permanent remedy. Do you also feel pain before falling of hair on the place of hair fall on the scalp? Generally I felt pain on scalp only though hair loss periods. Pain is only on scalp. 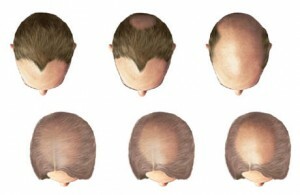 Having the episodes of patchy baldness could be the first sign of alopecia areata. Although hair loss in a patchy form is usually considered alopecia areata or AA, the condition of this hair loss patient is not a typical one. Alopecia areata is usually painless and the changes in skin shape and color is not that noticeable except for the hair loss. There are some other hair loss conditions that may present themselves as patchy hair loss such as Cicatricial Alopecia in which an inflammatory reaction causes hair loss. A hair loss diagnosis could be established through direct examination and biopsy of the scalp from hair loss lesions. My recommendation to this hair loss patient or anyone with similar balding problem is to visit a good dermatologist to confirm the diagnosis of this patchy hair loss condition. Hair transplant is generally not indicated in many types of patchy hair losses, but a hair transplant doctor can discuss it further after examining patient’s scalp and hair or possibly scallp biopsy results.